When patients walk into our office, the first thing they see is Sharon’s warm smile. Sharon Cronan has twelve years experience and loves serving our patients. 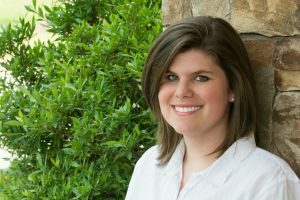 She grew up in Alpharetta and attended Milton High School. Currently, Sharon lives in Dawsonville with her husband, Ronnie. She enjoys meeting new people and is passionate about helping patients who have experienced dental tragedies get their smiles back. In her spare time, Sharon’s hobbies include cake decorating, and antique car shows. She loves spending time with her children and recently welcomed a new granddaughter into her family. 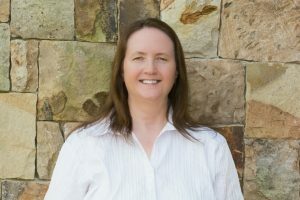 Susan has worked with us since 1999. As our lead hygienist, Susan’s passion is to educate patients on oral health and help them develop the best habits for a lasting optimal smile. She sets a great example with her own bright smile and her ability to cheer up anyone. The friendships she has made with her co-workers and patients is one of the most fulfilling parts of her job. She feels blessed for every opportunity she’s had to get to know them personally and finds each relationship meaningful. She loves that the practice is such a Christian and family-oriented place to work with great people who practice great values. 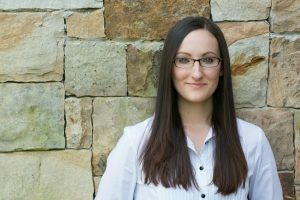 Susan graduated from Forsyth County High School and then went on to pursue an Applied Science degree for Dental Hygiene before she started working for us. She has been married to her husband, Lee since 1986. Together, they have two daughters and two grandchildren. 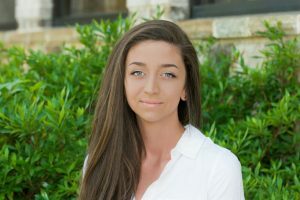 She loves to spend time with her family and enjoys deer hunting. Recently, she started learning to play the violin and looks forward to honing her skill and sharing music with her family and friends. Over the course of her ten year career, Stacey has served as both an assistant and a hygienist. 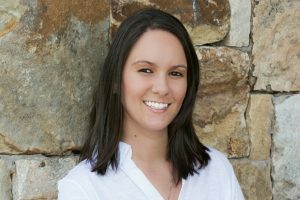 She attended north Forsyth High School and graduated from Lanier Technical College with a degree in Dental Hygiene before she started working for us. Stacey loves her job because she enjoys people and building relationships. Whether the impact seems small or big, she is passionate about impacting others and improving the lives of her patients. 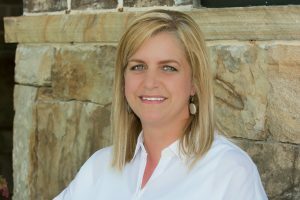 Stacey has never been happier in her career than at Harris Family Dentistry because she feels appreciated and she knows that her work is worthwhile. She feels lucky to be married to her wonderful husband, Brian. They have two children, Charley Grace and Blake, and two dogs, Kipper and Dude. The family enjoys spending Saturdays together taking trips, shopping and attending local festivals. Her family worships and serves at Revolution Church in Canton. 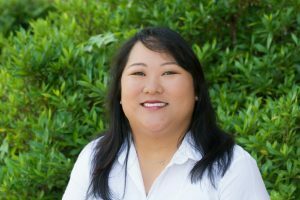 After earning her Associate’s Degree in General Science from Gainesville State and Associate’s Degree in Dental Hygiene from Lanier Tech, Sylvia started working as a dental hygienist and has accumulated over six years of experience in the industry. Sylvia has fit right in as part of our family, and loves her career working with Dr. Craig and Dr. Wendy Harris. She enjoys getting to know her patients on a personal level and finds assisting them and helping them keep their smiles beautiful an absolute pleasure. If you want to have a long conversation about football, baseball, or tennis, Sylvia is the hygienist for you! She loves to talk about sports and get to know her patients’ preferences. In her spare time, Sylvia loves to travel and attend concerts. Sylvia is a Georgia native and can’t imagine living anywhere else. At home, her five-year-old dog is Sylvia’s beloved furbaby and loyal companion. 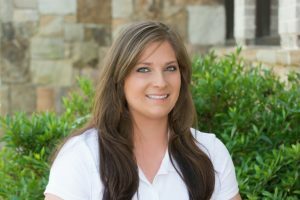 After earning her Associate’s Degree from Valdosta State University, Kristin joined our practice as a dental hygienist three years ago. She appreciates the kind, warm atmosphere at Harris Dentistry and loves seeing our patients each day. As a member of our team, Kristin makes sure each patient is treated like family. Patients who get their teeth cleaned by Kristin feel like she genuinely cares and wants to get to know them. Kristin is from southern Georgia and moved to the Forsyth area two years ago. When she isn’t working, Kristin is passionate about hiking. She especially loves to hike to waterfalls and enjoys spending time in nature. Besides her patients, the two greatest loves of Kristin’s life are her spoiled dog and cat. Her animals take up a lot of her time and her heart. Over the course of her 24 year career, Leah has worked hard to serve her patients and community. She enjoys the challenge of helping someone who hates dentistry become a relaxed and happy patient, and loves to see smiles transformed along-side Dr. Craig and Dr. Wendy. As a lead assistant, Leah helps our team deliver top-quality care. Feeling like the dentists truly care about each patient is important to Leah and the compassionate treatment our patients receive from Dr. Craig and Dr. Wendy is one of her favorite things about our practice. After graduating White County High School, she earned the Certificate of Dental Assisting with Expanded Duties from Lanier Technical College. Leah has been married for twenty-two years and has two daughters. She loves spending time with her family and enjoys the outdoors. Michele has been a Clinical Dental Assistant for over 10 years and has worked for Harris Family Dental for over 8 years. 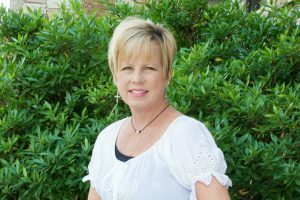 Before she earned her certificate and became a dental assistant, Michele attended Lanier Technical College as a budding dental technician. We love having Michele on our team at Harris Dentistry, because of her expanded knowledge and experience benefit our practice and our patients. Michele loves creating lasting smiles and helping people improve their lives through oral health and wellness. Michele is married and has a Pembroke Welsh Corgi name Scout. She is a Zumba fitness instructor and loves running marathons with her family. When she’s not working, Michele also enjoys photography, traveling and visiting amusement parks. 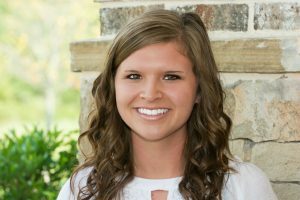 Taylor has four years of experience as a dental assistant and loves working at Harris Dentistry. She feels the most rewarded when she witnesses patients come into our office with restorative needs and then sees how amazing they feel and look once they have completed treatment. She loves to see patients look in the mirror and love what they see! She attended White County High School and received her Assisting Certificate from Future Dental Assistants of Atlanta. Taylor is CPR Certified and has IV sedation training. Taylor has been married for two years to her husband, Hunter. Together, they have two dogs, Gixxer and Roxy. Taylor’s pastimes include spending time with her family, swimming, and motorbiking. She and Hunter attend Union Grove Holiness Church. After attending Future Dental Assistants of Atlanta, Melanie has served as an outstanding dental assistant. She loves building strong relationships with our patients and strives to make a difference in their lives. Melanie’s compassionate heart and a strong work ethic is very evident any time she assists with a patient or performs any of her daily responsibilities. Melanie genuinely cares about our patients and works hard to make sure they’re receiving the care they need to enjoy optimal health. In her free time, Melanie enjoys the outdoors. Quality time with her loved ones is important to Melanie. Whenever she has the opportunity, she loves to participate in activities with her beautiful daughter and family. As an assistant, Alyssa always has a happy smile for her patients and team members and is very glad to be a part of the Harris Family Team. Her four years of dental assisting experience have given her the knowledge and skill set necessary to help our patients create beautiful, happy smiles. Alyssa graduated from Atlanta Technical College. When she isn’t working, Alyssa loves to be outdoors. She enjoys hiking, fishing, and swimming.